Don’t take chances. Asbestos is a serious health hazard that should be assessed and removed by contractors with special training and equipment. Asbestos is a naturally occurring mineral that was used in many building products during much of the 20th century, including ceiling tiles and "popcorn" ceilings, resilient flooring, flooring adhesives, insulation, fireproofing fabrics and panels, and siding. In its friable (loose) state, invisible airborne fibers may be inhaled, eventually causing asbestosis, a chronic inflammation of the lungs, or mesothelioma, a cancer of the lining of the chest and abdominal cavity. Fortunately, most asbestos found in the home is not friable and the fibers are not easily dislodged. In addition, most people afflicted with asbestos-related diseases were occupationally exposed to it. Miners, factory workers and those who handle or remove asbestos (including painters and construction workers) are primary risk profiles. Nevertheless, homeowners should take every precaution during any remodeling or home improvement where an asbestos-containing product must be removed or modified. Under no circumstances should it be sawn, sanded, drilled or scraped. The best course of action is to call a licensed and certified asbestos inspector if you suspect that asbestos is present in your home. Dr. Energy Saver Of Connecticut can help evaluate your home for ways to improve its efficiency and air quality. We will promptly address any issues we find, including the appropriate measures for asbestos removal. 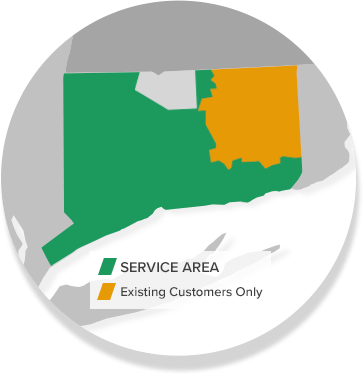 We proudly offer our services in Stamford, Norwalk, Hartford, New Haven, Danbury, Greenwich, and neighboring areas such as New Canaan, Westport, Darien, Ridgefield, Hamden, West Hartford, and more. Also check out our home energy evaluation to diagnose your home's energy problems. In most cases, improving a home's energy efficiency also improve the home's health and indoor air quality.